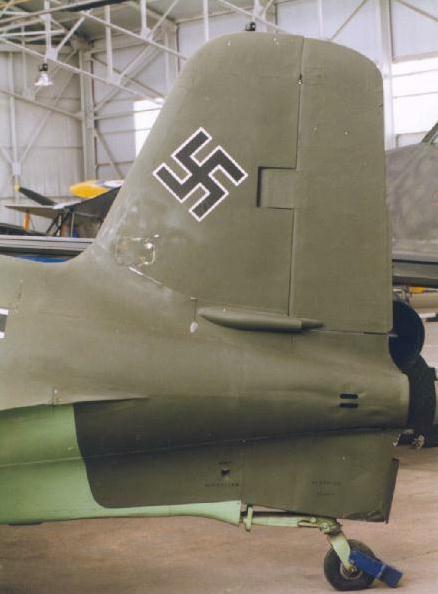 View of the left side of the vertical tail. Except for some small dents around the cooling slots, the airframe appears to be in a reasonably good condition. Modellers note the very limited fabric effect on the rudder.